A dramatic new interpretation of the classic Bentley design that is long and sharp-edged, with a new optimised 6-litre W12 TSI engine, state-of-the-art onboard equipment, a refined and beautifully hand-crafted interior: with the third generation of the Continental GT, presented at the Frankfurt Motor Show 2017, Bentley is redefining the quintessence of Grand Touring by providing a blend of luxury and performance that is more potent than ever. 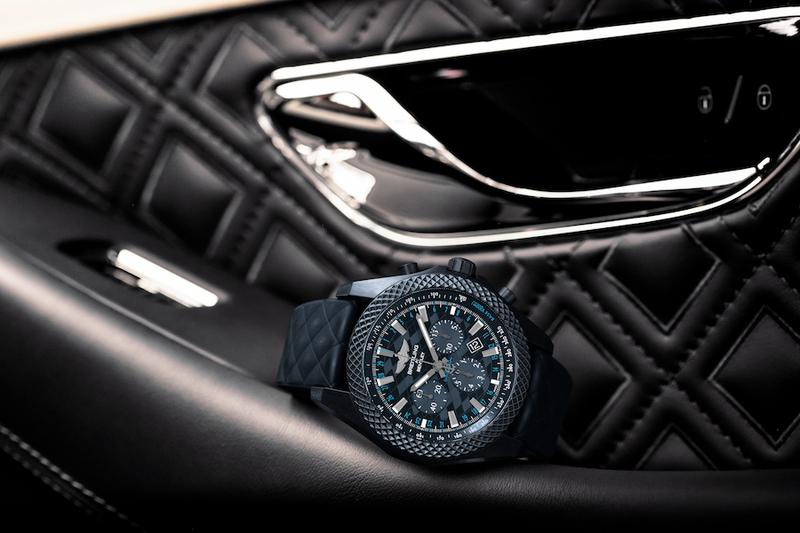 Breitling for Bentley marks the occasion by launching a limited edition reflecting the entire spirit of this new roadgoing champion. 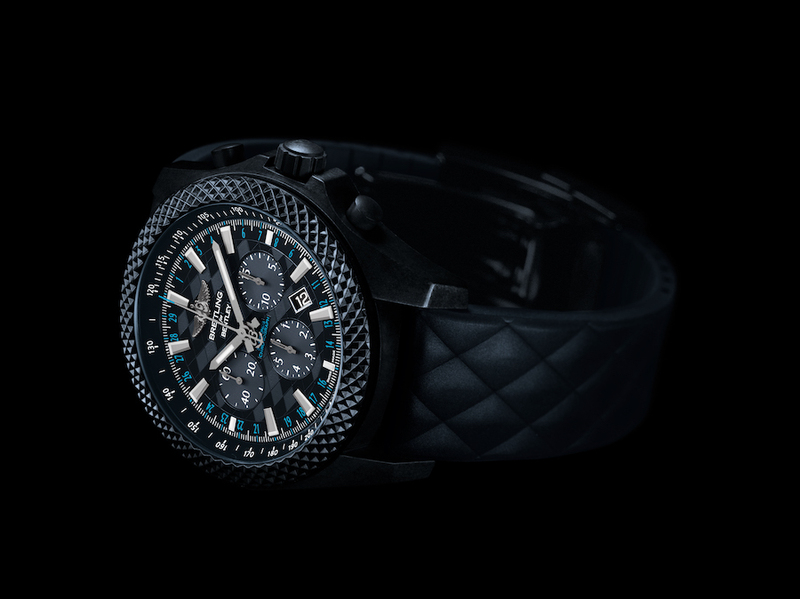 The ultra-light, ultra-sturdy case is made in Breitlight®, a Breitling-exclusive high-tech material distinguished by its peerless qualities (resistance to scratching, traction and corrosion, along with non-magnetic, thermal stability and non-allergenic properties). Its subtly black streaked effect takes on a bluish shimmer echoing the colour of the Bentley “Dark Sapphire” livery. 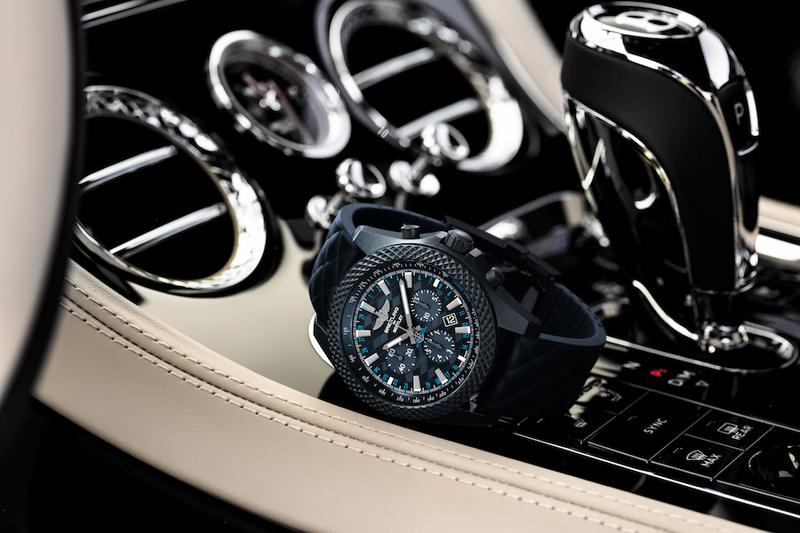 The dial features a diamond motif picking up the pattern appearing in several areas of the Continental GT interior and dashboard controls. The exceptional “motorisation” takes the form of a Manufacture Breitling B06 calibre officially chronometer-certified by the COSC.